An inventory of the fridge and pantry tells us that foraging is necessary. 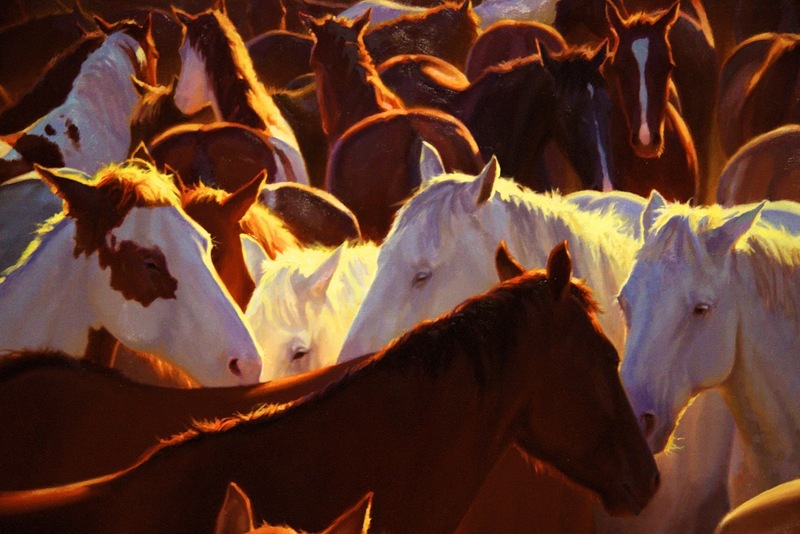 We head this time to West Yellowstone, a small town in Montana, just outside of the park. 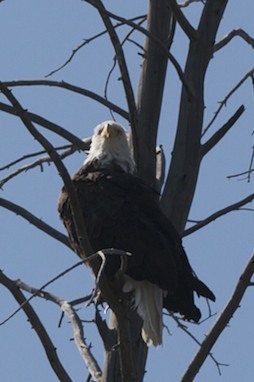 On our way, along the Madison River we stop and photograph a bald Eagle. This is the first one we have seen here. Seems that the eagles and osprey have been moving out of the park due to the lack of their favorite food. The cutthroat trout population has been decimated by overfishing and the illegal introduction of predators, especially the lake trout. 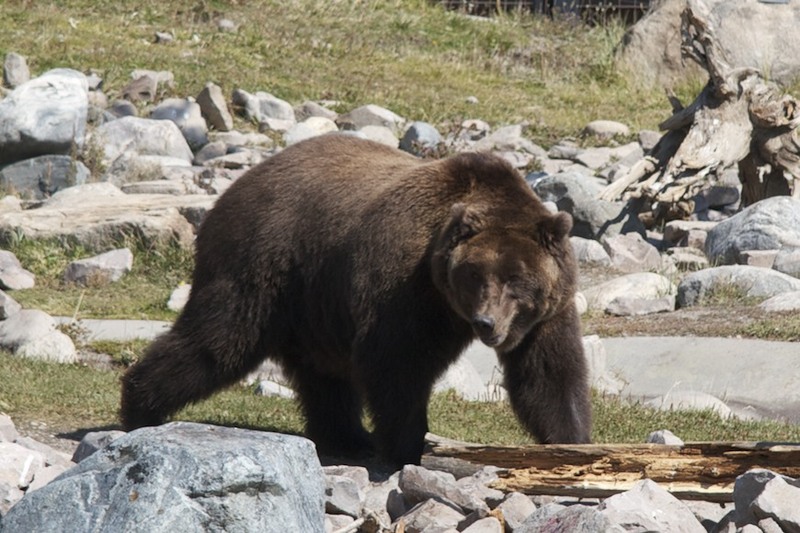 Interestingly, the loss of the cutthroat also impacts the elk, since grizzly bears now eat more elk calves as there are not enough trout to fill their post hibernation bellies. Before shopping, we visit the Grizzly and Wolf Discovery Center. There we learn about the Bears and Wolves of the Yellowstone area. All of the animals here have been relocated to the center because they were either orphaned or developed bad behaviors in populated areas. It does give us an opportunity to watch these predators up close and personal and the Center does a great job to give these animals a life (although in captivity) that is close to their experiences in the wild. We watch the Bears forage for food under rocks and in a pond. 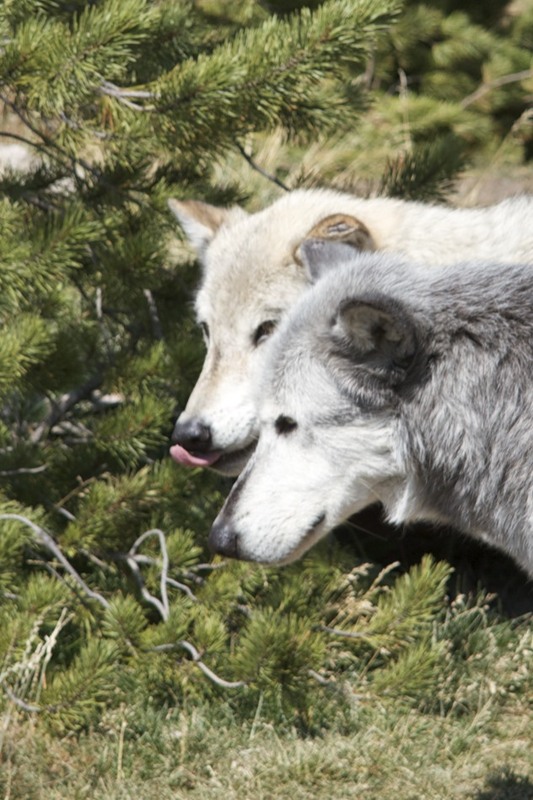 The wolves interact and do wolf things. Afterward we stop at Market Place to pick up supplies and head back to the park. We start a hike along the Lewis Channel Trail. There are signs that a bear has recently walked along this trail. (It’s comforting to know that we have bear spray with us.) We wind through forests and meadows turning red and gold. 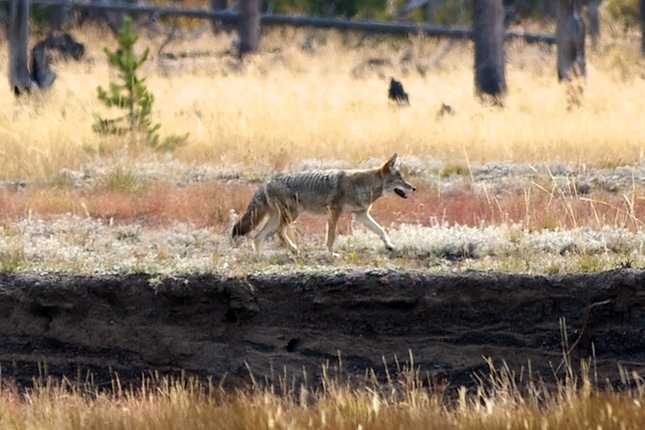 A coyote meanders along the edge of the stream searching for his next meal. Chipmunks scurry across our path. It’s stunningly beautiful, but it starts to rain when we reach the canal between the two lakes, so we cut this hike short and head back. Since the weather is iffy, we decide to head over to Cody, WY to visit the Buffalo Bill Historical Center. (Rain just makes us want to spend time in museums.) Since it’s an 80-mile drive each way and the Center is touted as the “Smithsonian of the West,” with five full museums, we decide to spend the night in Cody. We check into the Sunrise Motel located next door to the museum and spend the first day exploring the Yellowstone Natural History Museum and the Buffalo Bill Exhibit and part of the Plains Indian Peoples Museum. 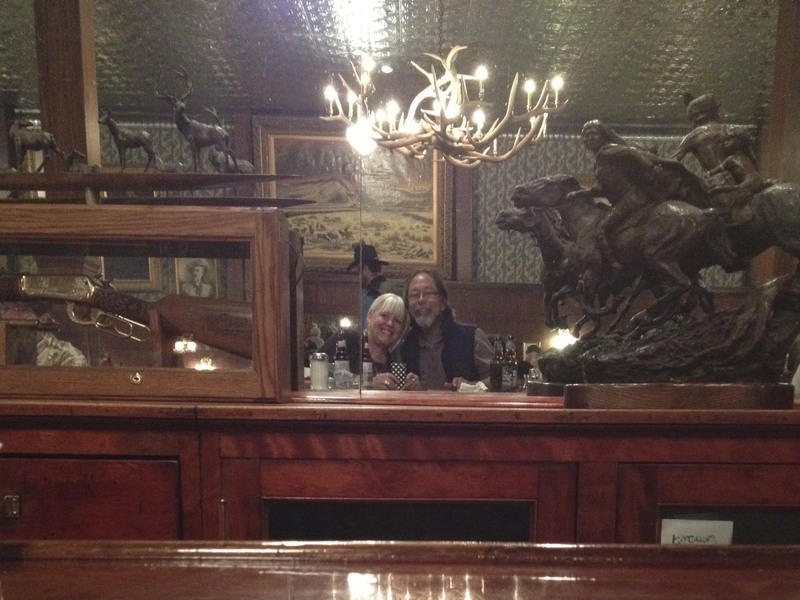 That night we head over to Buffalo Bill’s Irma Hotel. 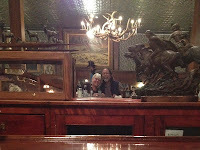 The dining room of the Irma Grill is pure old west with a world famous beautiful cherry wood bar, tin ceilings and an impressive collection of dead heads adoring the upper walls. After some tasty cocktails – including the first really cold martini I’ve had in months – we have one of the best prime rib dinners of our lives. Seriously their prime rib is cooked to perfection melt in your mouth heaven! There is a reason they are famous for their prime rib. Then it’s back to the Buffalo Bill Historical center where we spend the rest of the day exploring the rest of the Plains Peoples Museum, The Whitney Gallery of Western Art and the Cody Firearms Museum. 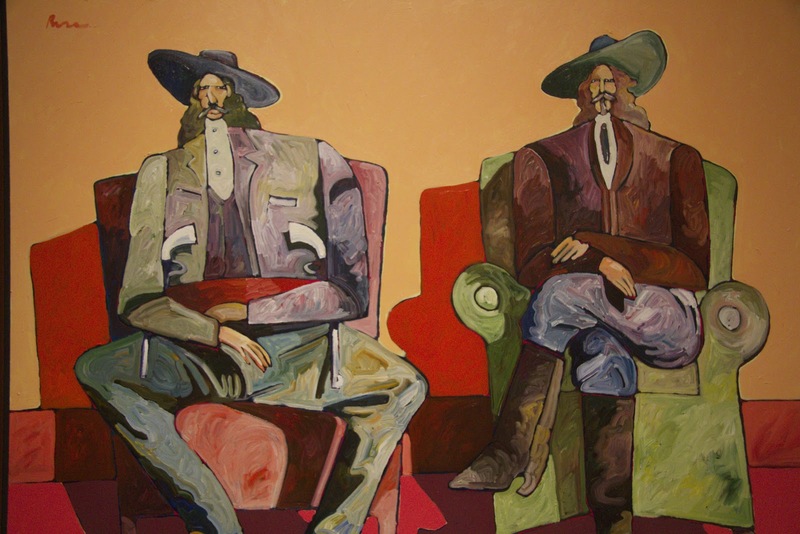 We are enthralled with the exhibits of Plains Peoples Arts, the extensive works of western art and the sheer number of guns and riffles. On the way out of town, we stop by the wild (bighorn) sheep exhibit and watch a short video about these beautiful reclusive animals. Back in Yellowstone we continue our animal paparazzi experience. 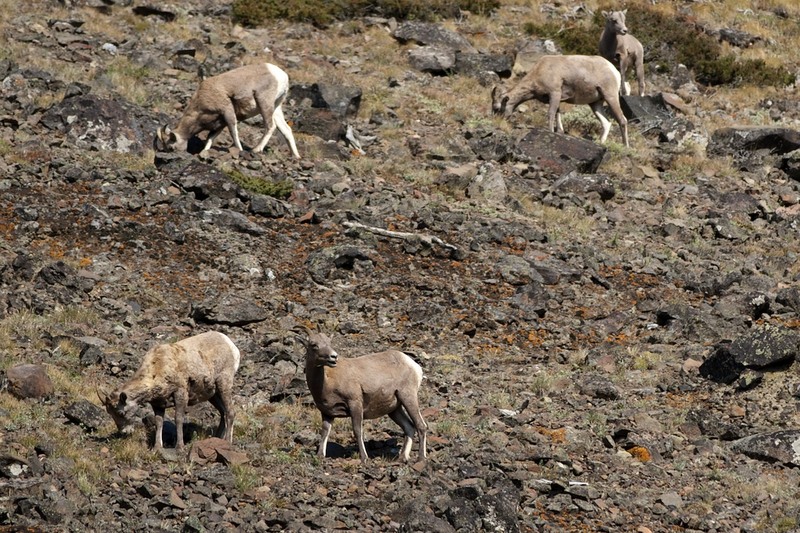 We are fortunate to capture a small herd of bighorn sheep on Mt. 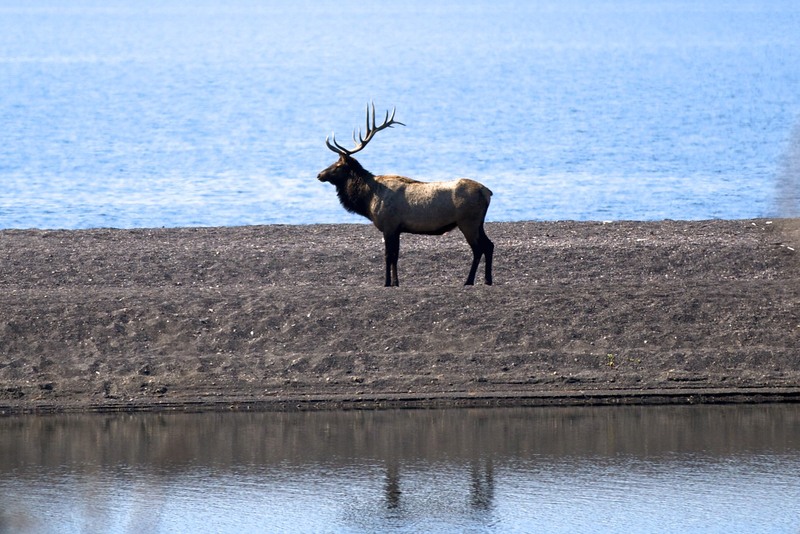 Washburn and a stunning bull elk posing on a sandbar at Yellowstone Lake. 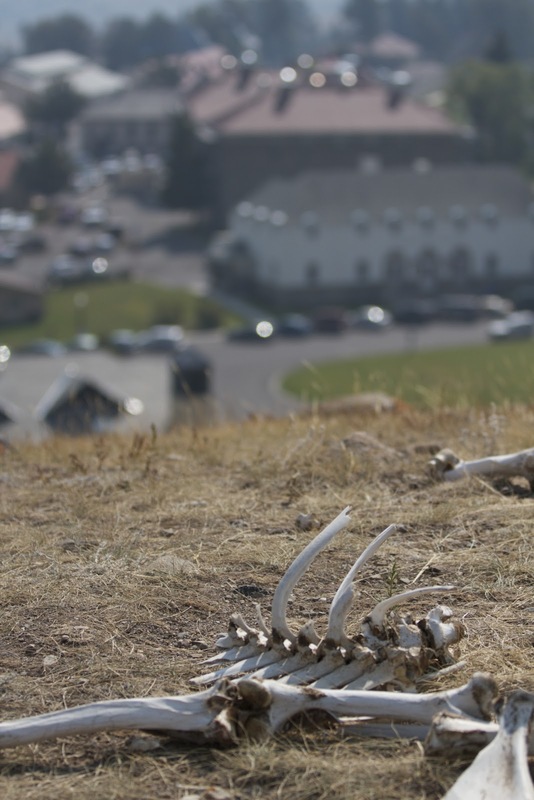 In Mammoth Hot Springs there’s a heard of elk lounging on the grass and on the hillside overlooking the center, the bleached bones of an elk are all that remain from predator’s and scavenger's dinner. On our final day, we plan a hike to the Prismatic Pools, but the parking area is overflowing so we check our map and decide to ride our bikes along the Lone Star Trail. The trail runs along Spring Creek and the fall colors are incredible. 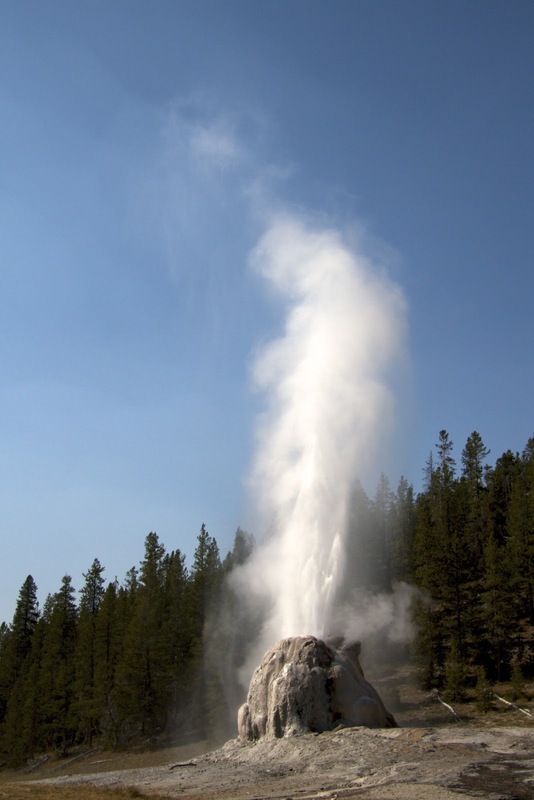 The bicycle authorized portion of the trail ends at the Lone Star Geyser. We arrive to find a dozen or so geyser geeks waiting for the next eruption. Within a few minutes we are entertained with explosive spouting water and steam. Driving back to our home base we encounter a huge traffic jam near the Continental Divide. Cars are double-parked and folks are lining the side of the road three and four deep with cameras and binoculars pointed into the forest. As we inch along, we catch a glimpse of a black bear ambling through the trees about fifty feet from the road. This is Yellowstone! There is NO fishing at Fishing Bridge. There are no elephants on Elephant Back Mountain. There is water, not lava in lava creek. There were no fairies or any other mystical creatures at Fairy Falls. Aside from some of the nomenclature, no decent groceries, and limited cell service or WIFI, Yellowstone is an ever-changing magical place, where wildlife intermingles with civilization and the earth spits and spews. There is so much to see and do and thirty-one days is not even long enough…we’ll be back!